There are about a half-dozen Little Free Libraries in my Washington, D.C., neighborhood, where the “take a book, leave a book” ethos lives in elaborate little houses that people post in their front lawns. I love them, and examine each one closely as I pass by on the dog’s daily walks. It’s always interesting to see what shows up, which books languish for days or weeks, and which books call out to me, begging to be brought home. A few weeks ago, while Bruno investigated some nearby grass, I came across a tattered paperback in the Little Free Library near an elementary school. Its cover was folded and its spine repeatedly creased, to the point where it was almost difficult to read the title. It was obviously, at one point at least, a well-loved book. 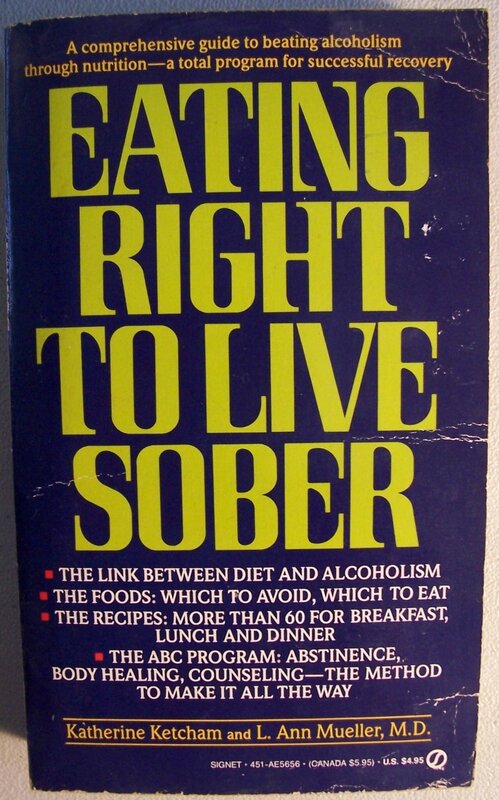 But it was the title that stopped me and forced me to slip the book into my pocket: Eating Right to Live Sober, by Katherine Ketcham and L. Ann Mueller, M.D.